CURE : DISEASE :: HEAL : ? 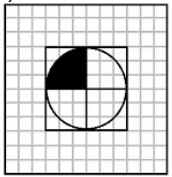 DBCE : QOPR :: JLKI : ? 6 : 42 :: 12 : ? Question 10.If it is Saturday on 27th September, what day will it be on 27th October of the same year? 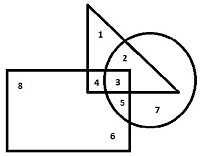 Question 11.The ratio of the ages of man and his wife is 4:3. After 4 years, the ration will be 9:7. If at the time of marriage, the ratio was 5:3, how many years ago were they married? Question 12.From the given words, select the word which cannot be formed using the letters of the given word. Question 14.If 24x2=84, and 32x3=69, then 13x3=? Question 16.Select the missing number from the given responses. Question 17.Ram went 20 meters to the north then turned towards east and walked another 5 meters, then he turned towards right and covered 20 meters. How far is he from the starting point? 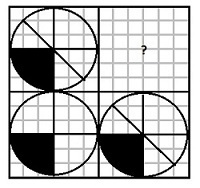 Question 18.One or two statements are given followed by two or more conclusions/assumptions, I, II, III, IV. You have to consider the statement to be true, even if it seems to be at variance from commonly known facts. You are to decide which of the given conclusions/assumptions can definitely be drawn from the given statement. 1. All goats are tigers. 2. All tigers are lions. I. All tigers are goats. II. All lions are tigers. III. No goat is a lion. IV. No lion is a goat. 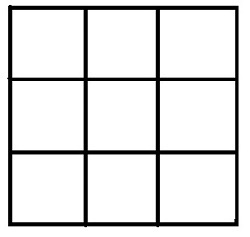 Question 19.In the question figure how many squares are there in all? Select from the given alternatives. 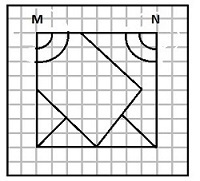 Question 20.In the following figure, triangle represents teachers, square represents merchants and circle represnts social workers. Which number space represents Teachers who are social workers?